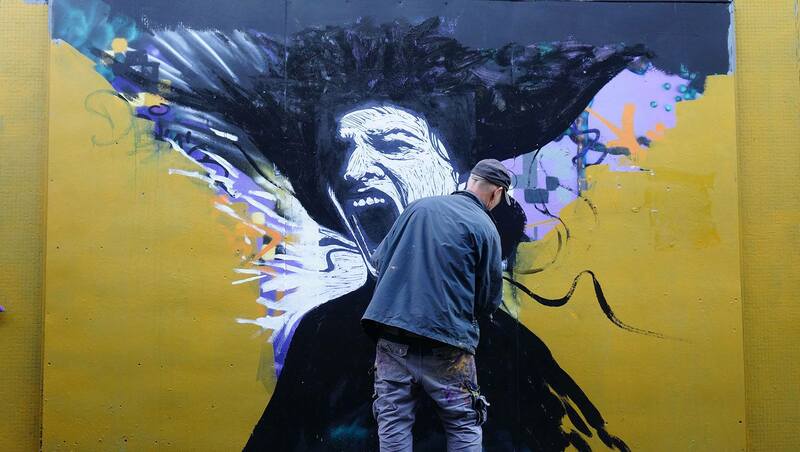 The Bearpit Outdoor Gallery, Stokes Croft, Bristol hosts its first major international exhibition, “Resiste” commencing Saturday 15th October. 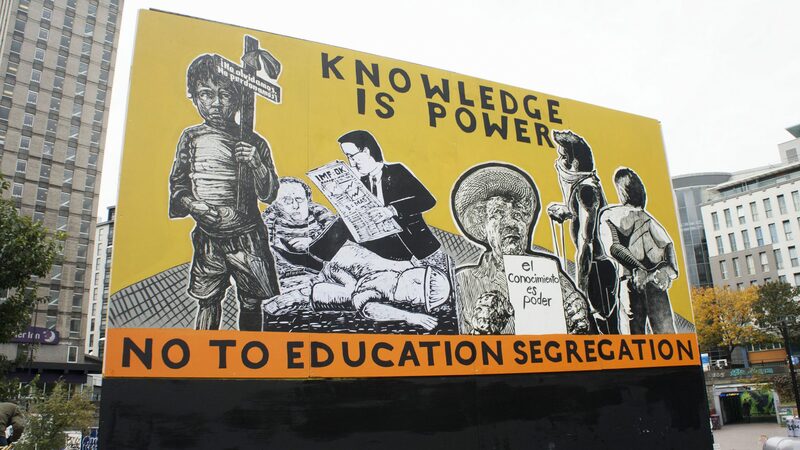 For the last 10 years ASARO have created political woodcut and lino print street art as part of their local protests, and in solidarity with international struggle. ASARO was formed during the major uprising in 2006 in Oaxaca, Mexico. 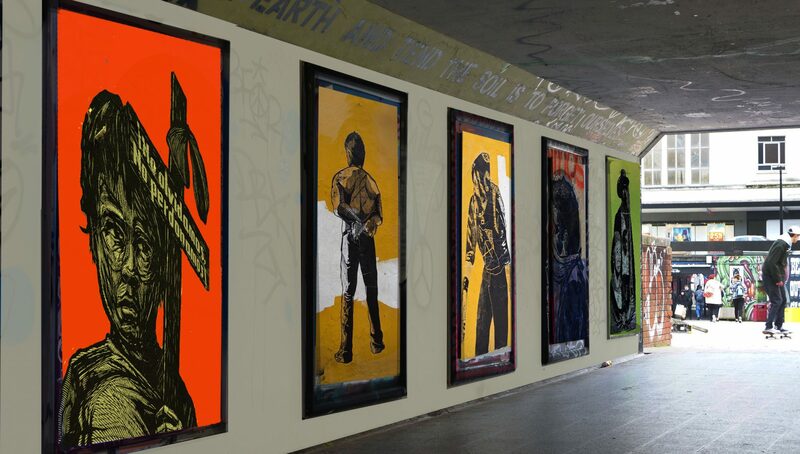 Many of the works are original prints, as used in the streets of Oaxaca during the teachers’ protests this summer, now displayed in the extraordinary public space that is the Bearpit. Filmmaker Niyaz Saghari met ASARO last year in Oaxaca and made a short documentary about them. Niyaz felt that the Bearpit, which is itself a contentious public space, would be the ideal place to host an exhibition of political street art from Oaxaca. 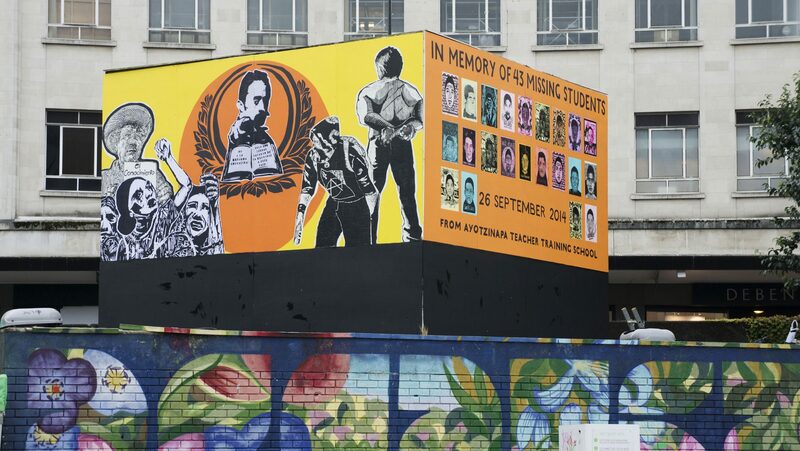 With financial and material support from the People’s Republic of Stokes Croft, and creative support from artist Mark Sands and Kiptik (Bristol’s Zapatista Solidarity Group), relying on the creative talent of local artists, the group brings international protest art to the centre of Bristol. The exhibition includes a memorial to 43 students from Ayotzinapa who went missing on 26 September 2014. The outdoor exhibition will be accompanied by a gallery exhibition and sale of original prints from ASARO in Hamilton House on Stokes Croft from 19th October and an evening of films about ASARO and Kiptik at Cafe Kino on 27th October. 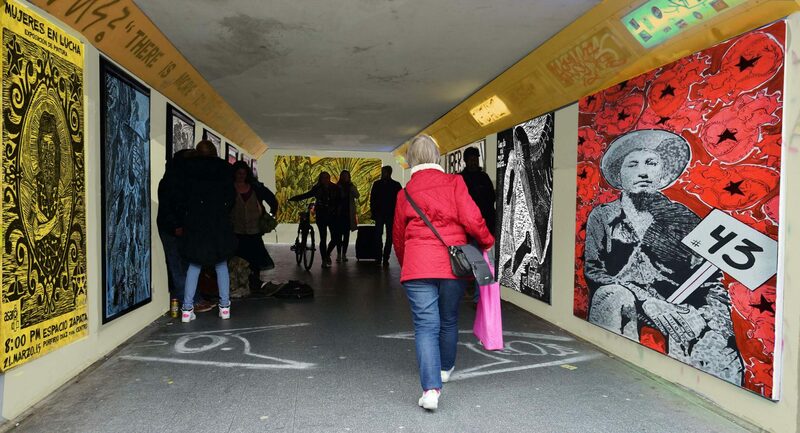 The Bearpit has been curated by PRSC for the past five years, creating a space where political expression has become the norm. The exhibition has been six months in preparation, and a community of volunteers from PRSC and Kiptik has worked feverishly over the last week in the Bearpit and PRSC studios to bring this exhibition to fruition.